Intimate Partner Violence (IPV) affects 12 million people in the United States each year. This includes physical, sexual, and psychological abuse by a current or past partner. It can be limited to one episode or it can be ongoing for years. One in three women have been victims of IPV, resulting in long and short-term physical and psychological trauma for many. With numbers like these, each one of us probably knows at least one person affected by domestic violence. It may even be you. 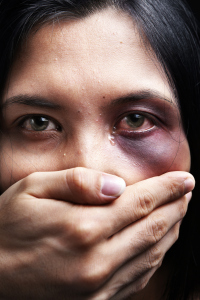 Domestic Violence, Intimate Partner Violence, Abuse….No one deserves to be mistreated! Every woman affected by violence needs a friend. Be the friend that you would want if the roles were reversed. 1. Just LISTEN to me please!